Well, this is the best news ever. As we previously reported, Ben & Jerry's ice cream is getting a new flavour just in time for Valentine's Day. Titled "Love is... Topped", the ice cream reads just as good as we presume it'll taste. Featuring brown sugar ice cream, pink salted caramel cups, cookie swirl, pink topping, and heart-shaped chunks, I mean, what's not to love? 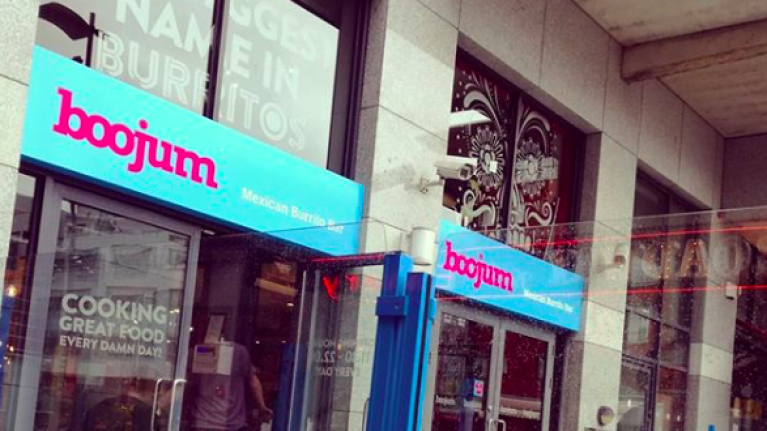 And besides the ice cream sounding beyond delish, we now know it's going to be available in selected Boojum stores from Tuesday, February 12 onwards. You can check the closest branch to you here. According to Unilever who gave us the inside scoop (all the puns intended), the ice cream will be available in store and via Deliveroo until the end of the month. Burrito followed by Ben & Jerry's? Talk about HEAVEN.